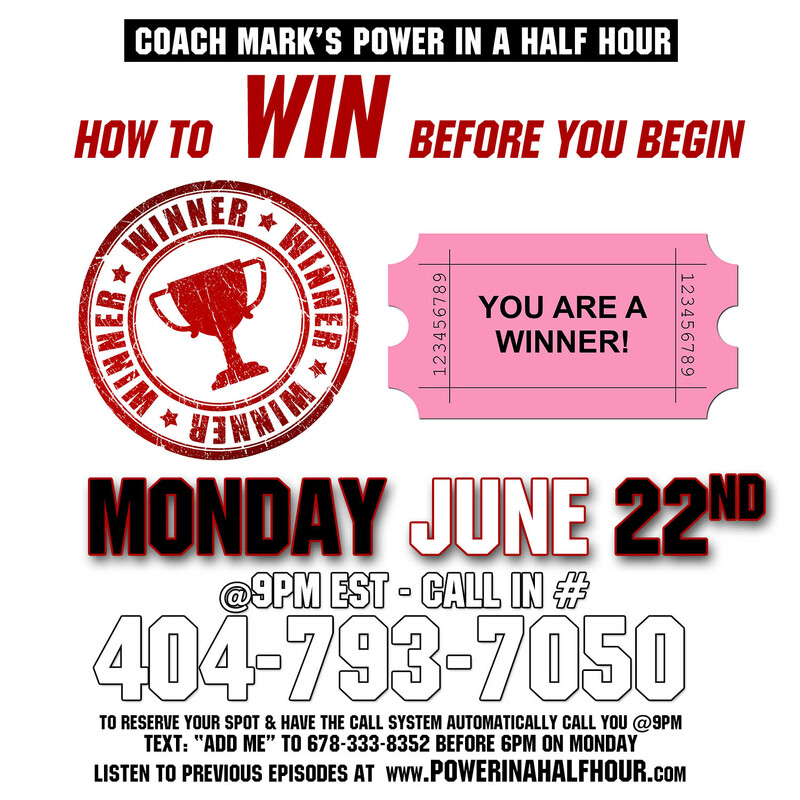 ** REPLAY ** How To Win Before You Begin… *** Episode 37 of Coach Mark’s Power In A Half Hour!!! *** We all are looking for the best opportunity to become successful, but the best way to find success in a opportunity, is to first become a success. If you want to be successful, you have to first become the success.. Once you are a success, everything you do will be a success.. This sounds simple, but it isn’t always easy. Well this week, we learn how to become the success we need to become so everything we do will be a success..
It’s easy to get motivated. 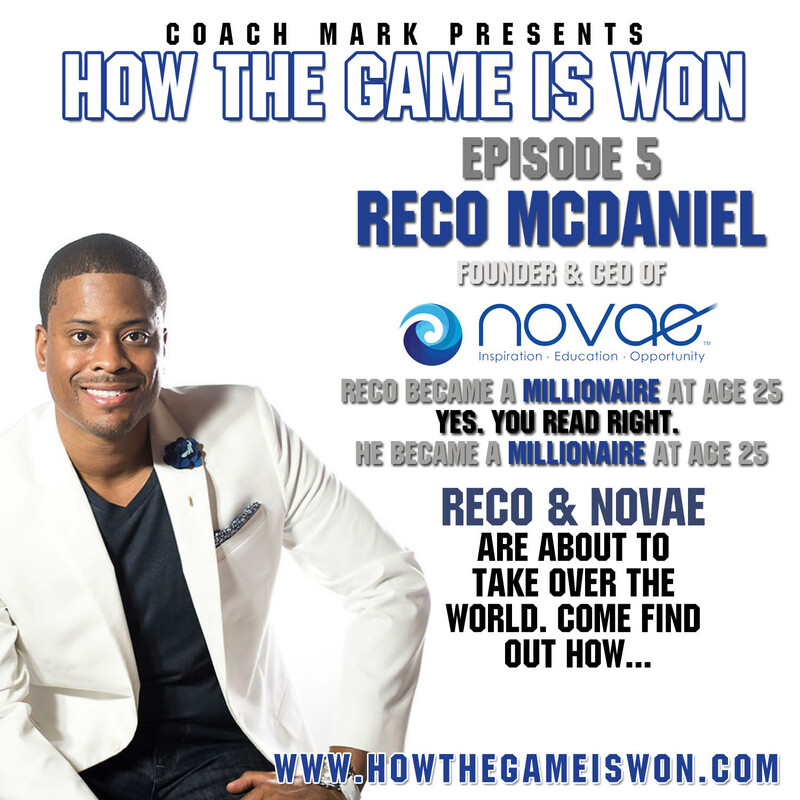 We can go to Youtube and listen to any number of motivational speeches, but how do we stay motivated? 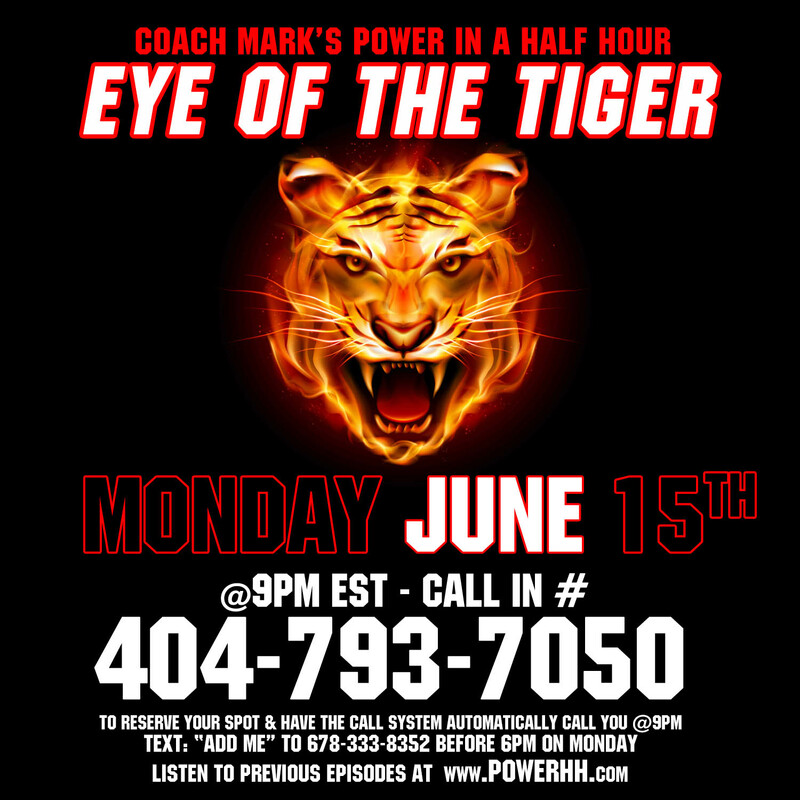 Coach Mark shares how he keeps the “Eye Of The Tiger”. Not only can we get motivated, but we will learn how to stay motivated. 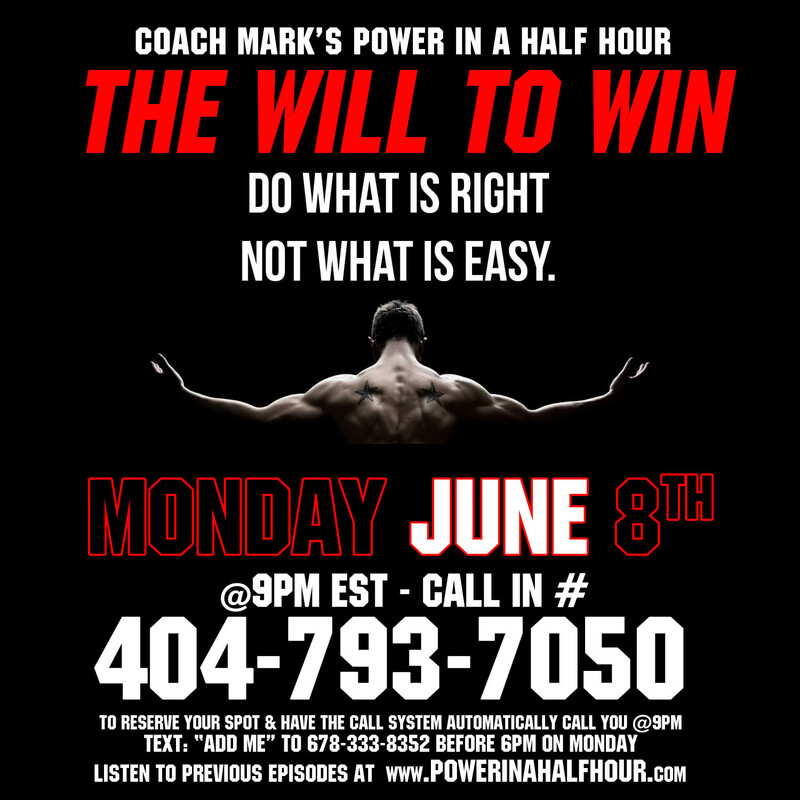 We will also learn the 10 habits of the Ultra Successful. 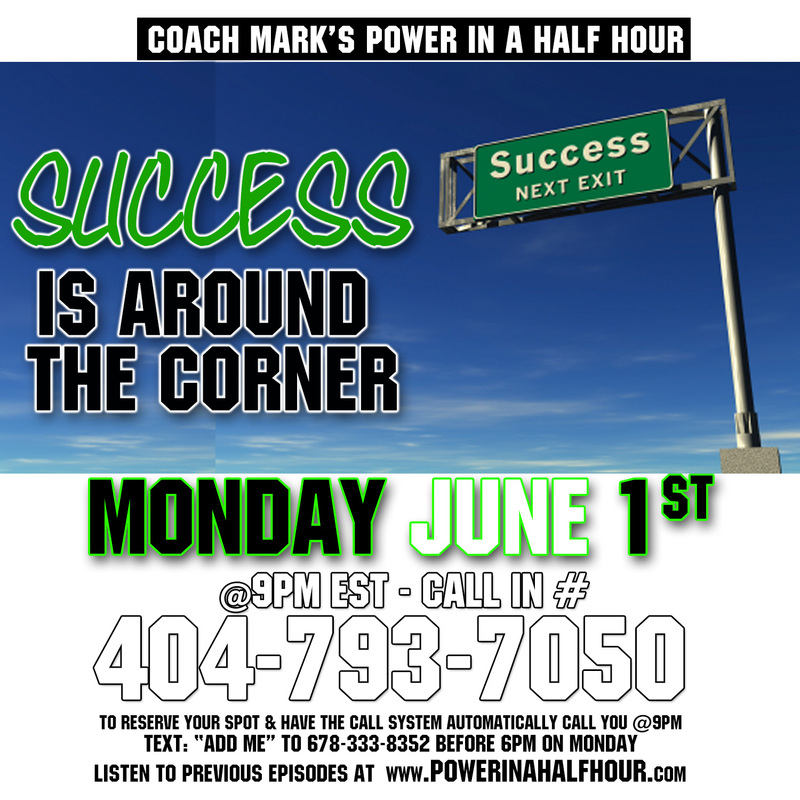 Success is around the corner… Your almost there.. Don’t quit, your success is right around the corner, but will you know it when you see it? 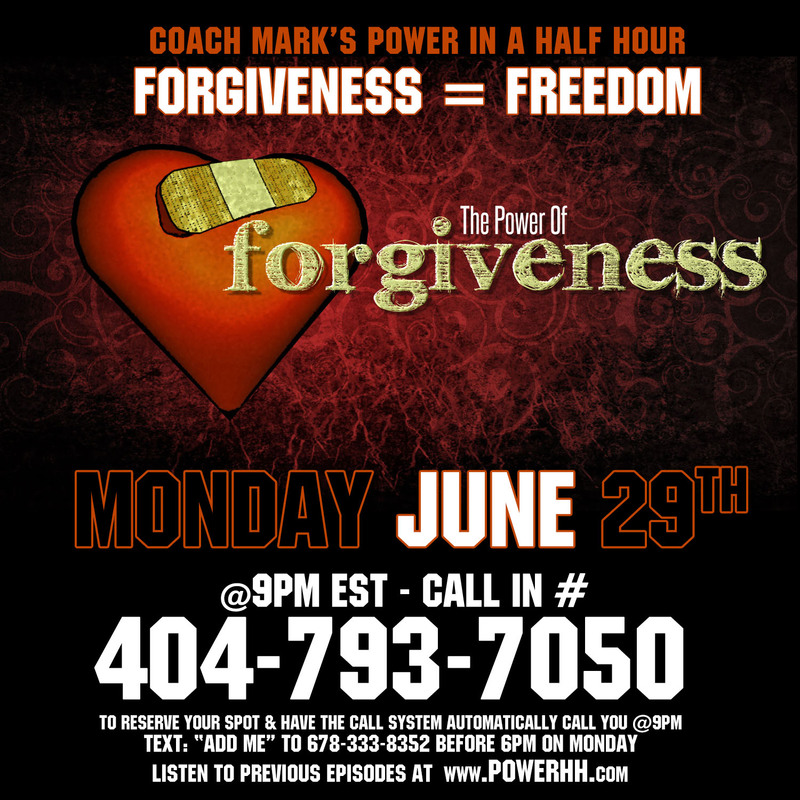 Learn the traits of those that are headed towards super success..